Through the month of August, we collected stories about your terrible tenants in search of a Grand Prize winner. We had so many great stories that we have decided to award 3 winners! Congratulations to Chris A., Cheryl S., and Janis J.! You will each receive a $20 AAOA credit and your stories will be featured in an upcoming newsletter. Didnt get to submit your story? We still want to hear from you! Send your terrible tenant stories and pictures to customerservice@aaoa.org to be featured in a future newsletter. 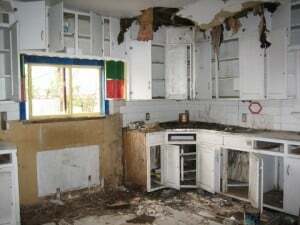 Have you ever walked into a vacated apartment to find that it had been destroyed? Or realized that your no-animal rental had been turned into a zoo? Maybe you came to realize your tenant was not who you thought they were? Every landlord has their share of stories- good and bad and we want to hear the bad. Tell us your worst tenant story for a chance to be featured on the AAOA Blog and Newsletter. The top 10 stories will be shared- include pictures if you have them! One grand Prize winner will receive 20 AAOA dollars to be used for the purchase of tenant reports.